Are you stuck on Giving Tuesday ideas? 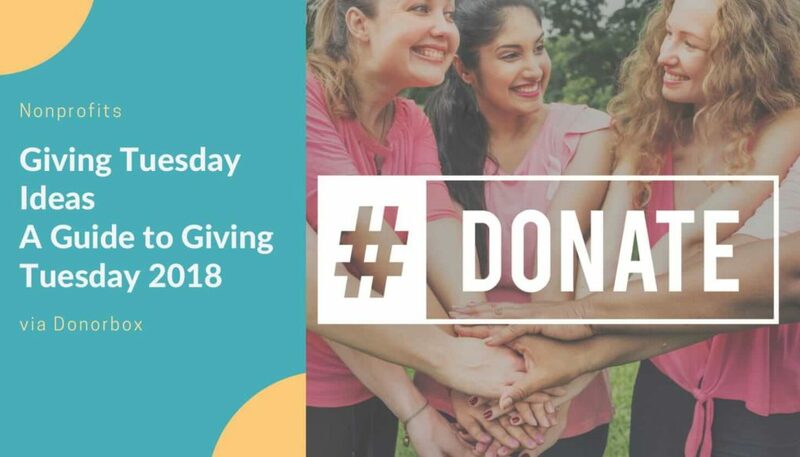 Maybe you’re even a little bit confused as to what exactly Giving Tuesday is and how your nonprofit can benefit from it? Giving Tuesday is a global day of giving, powered by social media, collaboration, and campaigning. #GivingTuesday was created back in 2012 by the team at the Belfer Center for Innovation & Social Impact at the 92nd Street Y-a cultural center in New York City and has, since then, become a global philanthropic movement. Giving Tuesday is celebrated on the Tuesday following Thanksgiving (in the U.S.) and the widely recognized shopping events Black Friday and Cyber Monday. #GivingTuesday this year falls on November 27, 2018. It generally kicks off the charitable season and the end-of-year giving. 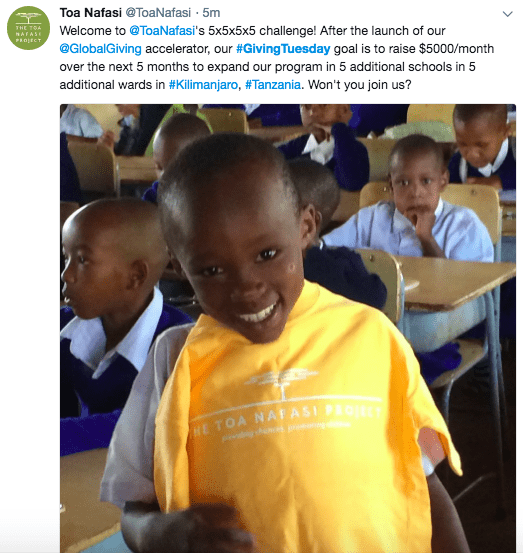 Giving Tuesday, in its essence, harnesses the power of social media and the charitable nature of people around the world and encourages them to donate time, talents and resources to pressing local and global challenges. Last year, #GivingTuesday saw a significant increase in donations, growing from $177 million in online donations in 2016 to a $300 million in 2017 – a 69% increase! Many value #GivingTuesday and see it as a way to ‘counterbalance’ the consumerism of the holiday season. And what says holidays more than giving back? Is Giving Tuesday Right For Me? A variety of organizations, from local schools to big international charities, participate in #GivingTuesday. Giving Tuesday is right for your nonprofit if you’re ready to commit for at least three to four months (September – November/December) and if you have the resources to run the accompanying campaign(s). What Does the Fundraising Process Look Like? 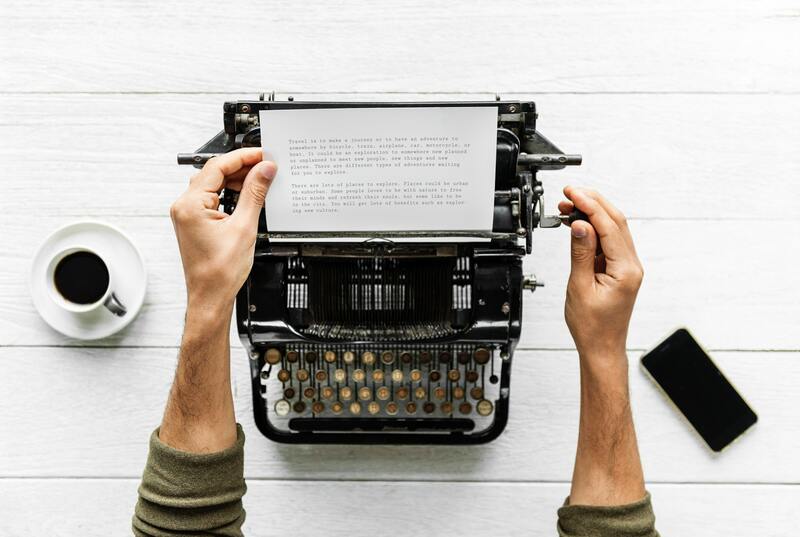 Giving Tuesday ideas aside, what the fundraising process looks like will very much depend on your nonprofit – the size of it, the resources at disposal (staff, time, money), and the priority the campaign is given. Even so, there are a couple of steps that your nonprofit organization can follow to ensure success this #GivingTuesday. If you haven’t started in July and August, now is the right time to start planning your Giving Tuesday campaign. Decide on a goal for your fundraising – use the SMART method. Consider your target audience – who do you want to inspire to give? Determine your campaign message – consider having only one message for all of the year-end fundraising. Size up your resources – time, money, staff. Think about what has worked for your nonprofit so far – consider replicating it. 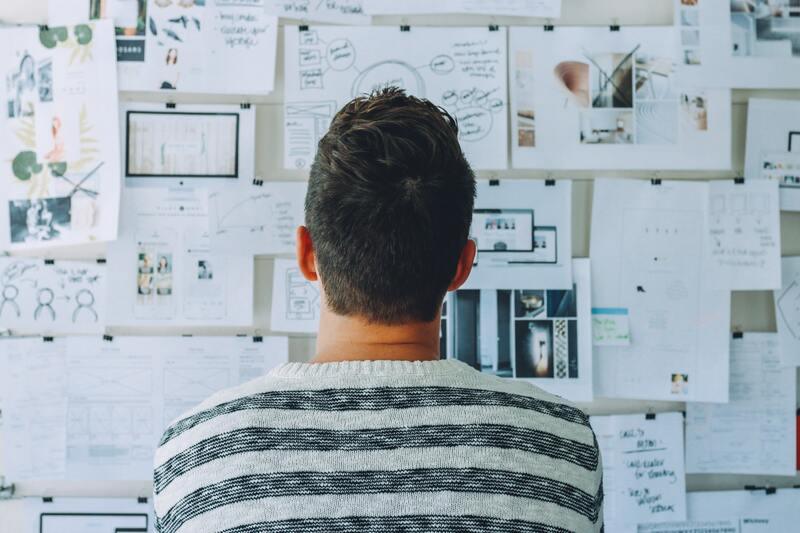 Map out how you want to inspire your audience to give. Create a timeline of activities – including deadlines, responsible staff members, and a list of everyone who needs to be kept in the loop. 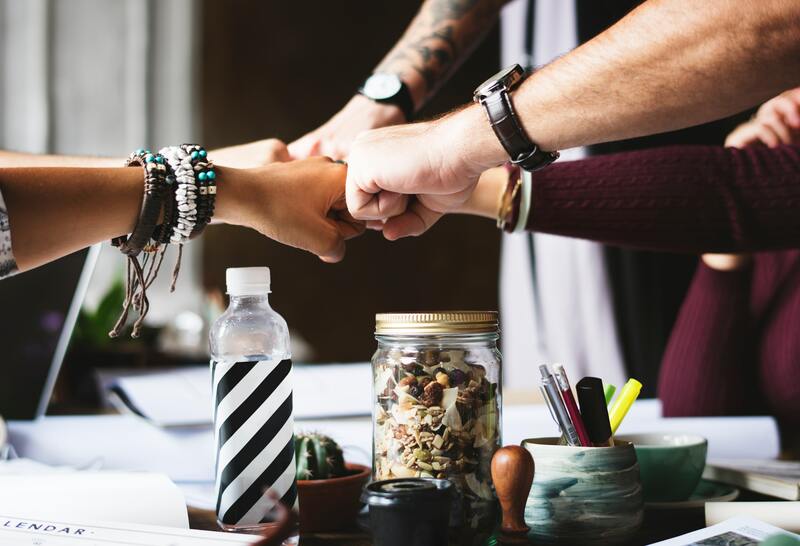 Decide on internal communication methods – teamwork and communication within the team and the organization will be essential. Preparation should take up the bulk of your time before you start with the fundraising activities. – Start developing your fundraising site – this is where your campaign will be hosted and how you will be receiving donations. – Start developing your content – videos, flyers, blog posts (anything you identified will support the strategy you decided on in Planning). – Identify community partners, corporate sponsors, and/or major donors who will help promote and match donations. Start promoting your campaign at least 2-3 weeks before #GivingTuesday. Send an email announcing the campaign to your supporters at least a week before Giving Tuesday. Increase the frequency of the emails around #GivingTuesday – sending at least one email the day before and two the day of. Promote on all of your social media channels using content and images you previously created for this purpose. This is the basic process your nonprofit can follow to run a Giving Tuesday fundraising campaign. If you’re interested in more specific Giving Tuesday ideas, continue reading the text below. Perhaps one of the most important items to “check off” the Giving Tuesday to-do list – an online fundraising page is essential to successful fundraising. This is especially the case with Giving Tuesday, which is primarily driven by social media and online donations. Create a dedicated #GivingTuesday fundraising/donation page. Make sure the page is responsive, fast to load, well-designed and clear. If a donation page is disorganized, difficult to navigate, overwhelming or confusing, it defeats its own purpose: increasing donations. A donor should be able to find your donation link within a couple of seconds of your donation page loading. A good case practice is to place the link on the top navigation found in the website’s header. Highlight this button/link, potentially by using a bright and eye-catching color. Not every visitor to your website visits with the intention to give. Most have to be persuaded. Having a brief, but enticing and compelling “why” helps with the convincing. Your donation page shouldn’t feel like purely a payment processing form. If you choose to do any of these Giving Tuesday Ideas, make sure you get this one right first! With relatively short-lived campaigns like this one, it’s important to show real-time progress to your donors. You can do this by displaying a fundraising thermometer on your donation/fundraising page. Your fundraisers will be more motivated to fundraise thanks to a visible tracker of progress, and your donors will be able to see the impact their donations are making real-time (especially since the thermometer automatically raises as donations flood in). Fundraising thermometers work because the goal and the progress are so visible. Additionally, seeing the thermometer rise because of a donation being made provides a sense of immediate gratification. Finally, a fundraising thermometer is a way to build social proof. Peer-to-peer fundraising is a Giving Tuesday idea with a lot of fundraising potential. Often underutilized, an organization’s best resource is often the current base of donors and other supporters. Your current donor and supporter base can help spread the word that you’re participating in #GivingTuesday to their networks. They are also the most likely to donate on the big day. Ask your supporters to make personal fundraising pages so they can rally their family, friends, and acquaintances and get them to donate for your cause. Make sure you give your fundraisers a specific fundraising goal – this will help motivate them. Finally, don’t leave them on their own – they are doing this for your cause after all! Send them some fundraising tips – or if you have the resources, train them. Follow up with them, encourage them, and help them gain momentum. Anchoring is the tendency to accept and rely on the first piece of information received before making a decision. That first piece of information is the anchor and sets the tone for everything that follows. Tversky and Kahneman report powerful anchoring effects when people choose how much to contribute to a cause. In an experiment he conducted at the Exploratorium in San Francisco, participants were told about environmental damage and asked about their willingness to make an annual contribution to save 50,000 offshore seabirds from oil spills. Those who were not given an anchor were willing to pay $64 on average. When the anchor amount was $5, the average contribution was $20. This is why it is advised that you ask for a specific amount from an individual based on that individual’s history of giving and capacity when making direct fundraising asks. You should also specify a suggested amount in your donation form options and copy. Donorbox donation forms allow you to highlight the suggested value. Note that the average donation amount in 2017 was $134 (Blackbaud). 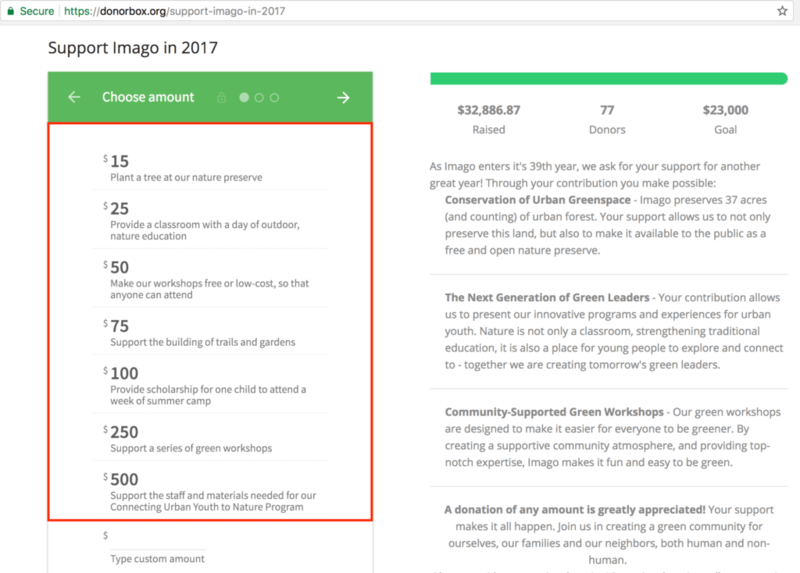 The vast majority of the top 100 nonprofits used an approach that included 4-5 suggested donations paired with the option to enter a custom amount. Around half of these organizations highlighted a default suggested value (usually the 2nd or 3rd option). Giving Tuesday was designed to be a collaborative effort. Implement this Giving Tuesday idea and forgo the spirit of competitiveness. Giving Tuesday is about raising money for your cause, but it’s also a time to connect with prospective and current donors. It’s also a great opportunity to connect with businesses, other nonprofits, and movements in your local area or in your country. This will help increase your exposure and your reach. With that, more donations will trickle in, more individuals will pledge to volunteer, and more people will know about your nonprofit. The potential that lies here is enormous. – Use the same media kit and social media hashtags. – Share one another’s campaigns online. – Reach out to celebrities and social media influencers that care about your cause and ask them to speak about it in public. – Reach out to media outlets, local and national, and ask them to donate media time to your cause this Giving Tuesday. – Develop compelling visuals (images and videos) and share them across the board. – Retweet, share, mention – give your partners a lot of love! – Get clear on the terms of the partnership – better to set expectations and avoid any potential issues. – Donate to other organizations yourself this Giving Tuesday and lead by example! Donors are, more than ever, focused on impact. In your Giving Tuesday campaign, make sure the donors know where their money will go. How is it going to make a difference? Be as specific as possible. Although both appeals ask for the same amount of money to create the same result, the second one has a much clearer pull to it. The second one clearly states a plan of action with a resulting outcome – the impact is visible. 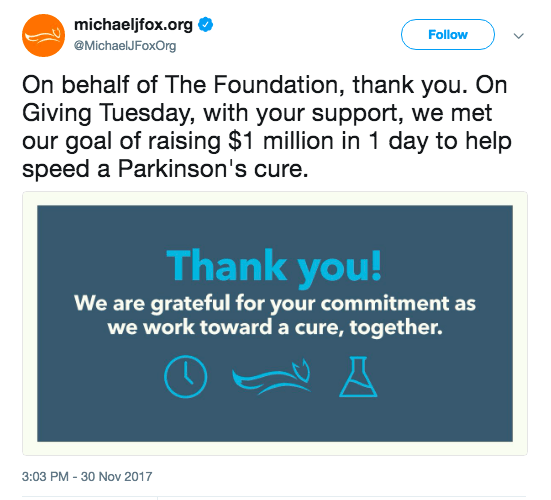 Giving Tuesday has become big! While it’s completely possible to achieve your Giving Tuesday fundraising goals, that time of the year is very busy. People are constantly bombarded by fundraising appeals and many organizations are vying for their attention. In that kind of noise, it’s important to stand out and find a way to win over donors’ hearts. One of the best ways to do that is through storytelling. Videos are an increasingly popular way to tell stories of impact. Video is the way to go in 2018 to raise more funds and grow your reach. Social video generates 1200% more shares than text and images combined. Viewers retain 95% of a message when they watch it in a video compared to 10% when reading it in a text format. They can portray characters and situations in a way that a text will never be able to, and are much more dynamic than still images. See this World Vision video for an example. 7.2. Keep the message positive. Nonprofits sometimes resort to negative messaging in order to evoke the feelings of guilt. However, research shows negative messaging doesn’t lead to donations. This isn’t to say that you shouldn’t talk about tough stuff; many nonprofits exist in order to deal with very negative circumstances. It’s a matter of framing your story in a positive way. 7.3. Pick 2-3 key messages about your organization. You may want to include more for a full communications plan, but for Giving Tuesday, 2-3 will help suffice. Think about your “why”, not your “what”. People relate to people. Having relatable characters is essential because they bring the issues your work addresses down to a personal level. It can be hard for the everyday person to relate to big social issues like poverty or hunger. This Giving Tuesday idea is a must. Giving Tuesday is very much driven by social shares and mentions. Most of the fundraising is done online, and the movement depends on heavy online campaigning and peer-to-peer fundraising. – Tap into the digital natives by mobilizing them to share #unselfies. An #unselfie is simply a self-portrait where the subject writes about the cause they support with the hashtag #unselfie on a piece of paper then posts a picture of it on social. – Brand your social media accounts. Set your profile image to the #GivingTuesday logo. Change out your cover photo to a branded #GivingTuesday one. – Check in with your platforms throughout the day to re-tweet and share your supporters’ messages about your campaign. – Share your own content (videos, images, blog posts) on social media. – Mention and thank those who shared your posts, especially donors as they make donations during the day. Promptly reply to any comments you receive online. – Go live on Instagram and Facebook and interact with your donors or show behind the scenes of your office. – Use Thunderclap and get creative with your messaging. – Your posts should include a link to your campaign or donation page. The link should send users directly to your donation page. Now, this might not seem like a Giving Tuesday idea, but #GivingTuesday is the perfect time to launch or promote your recurring or monthly giving program. When a donor sets up a recurring donation, they choose to give a pre-determined amount of money on a regular basis. Many people like to give monthly, bi-monthly, or yearly, but they can give as frequently as they’d like. Monthly giving is, out of all of those, probably the most frequent form of recurring giving. Great monthly giving programs have a much higher return on investment compared to one-time giving programs. The average recurring donor will give 42% more in one year than those who give one-time gifts. Monthly donors also have a greater lifetime revenue per donor. Finally, 52% of Millennials are more likely to give monthly vs. a large one-time donation. They prefer the ability to show their support without a huge financial commitment and donate toward a cause they care about for a small amount they’ll barely notice. A monthly giving program is the most effective and effortless way to retain the Giving Tuesday donor support beyond the 24-hour social media buzz. Write a blog post summarizing the success of your Giving Tuesday. Post thank-you graphics everywhere on your social media the day after. Send an email to donors thanking them for their donations. Ask super fans to become ambassadors for the next year. Send an email to those who did not give and let them know that you are extending the campaign for another week. After #GivingTuesday, update your website to include a “Save the Date” for 2019 with an email opt-in. #GivingTuesday is an amazing opportunity for nonprofits around the world to raise the much-needed funds for their worthwhile causes. Giving Tuesday is a great time to connect with your donors, create partnerships, boost your finances, and try new fundraising ideas without having to commit to them for a full year! Organize a physical event, find a corporate partner to match the donations or create a cartoon – whatever it is that will get your creative juices flowing! Don’t forget to visit #GivingTuesday.org, which is full of resources, results from previous years, case studies, and more. Their toolkit has ideas, logos and branding materials, videos, and more. Also check out Donorbox for a reliable, efficient, and world-class donation system that will ensure you receive and manage your Giving Tuesday donations!